Sometimes less is more, especially if doing less means doing it better. 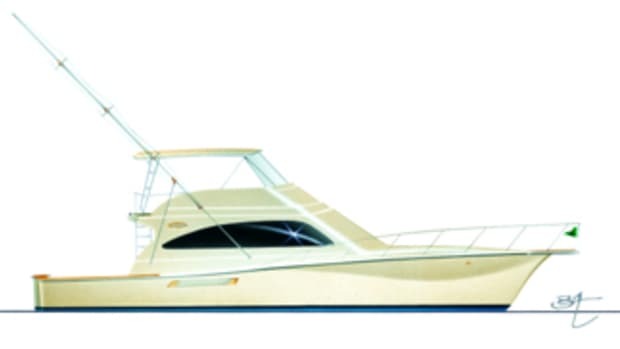 A case in point is the layout of Cheoy Lee’s 78 Sport Motoryacht. Rather than maximizing the number of guest staterooms, the savvy builder opted for just three. But each one is so generously proportioned that it&apos;s like every stateroom is a master suite. 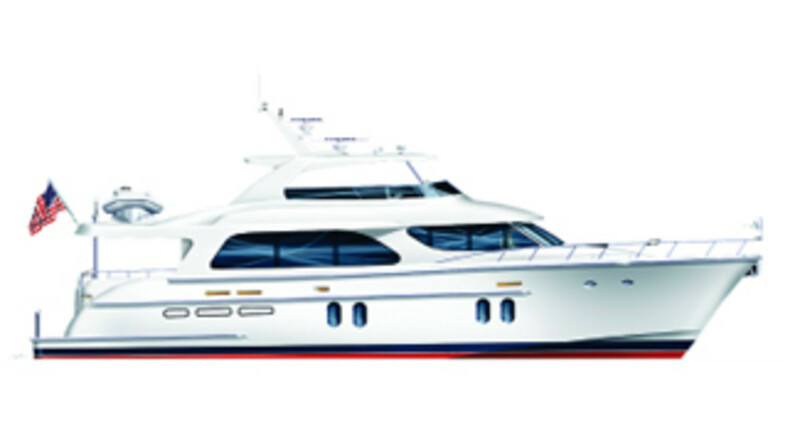 All three extend full-beam, the master offering a king berth while the two guest suites offer queens. 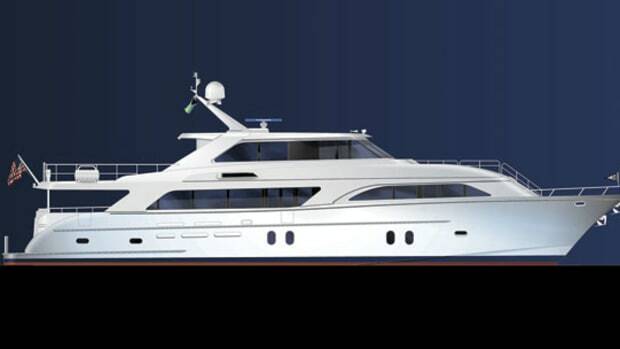 For extra privacy, the forward stateroom is accessed via its own stairway alongside the lower helm. Even the crew stateroom is exceptional; full-beam at the stern with upper and lower berths, a dinette, and a private head with separate shower. 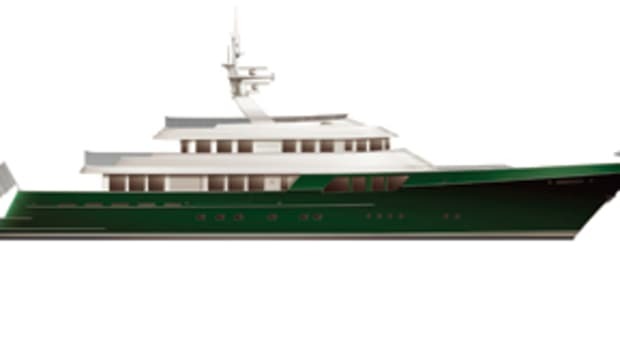 On the main deck, the design philosophy seems to be just the opposite, offering a little something for everyone. 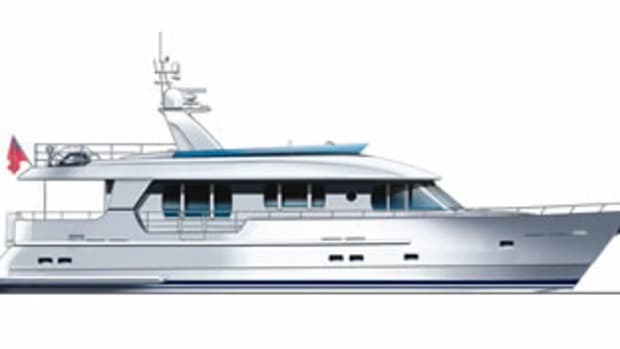 Forward there&apos;s a big country kitchen, while amidships there’s a formal dining area with a small wet bar adjoining a spacious seating area in the saloon. 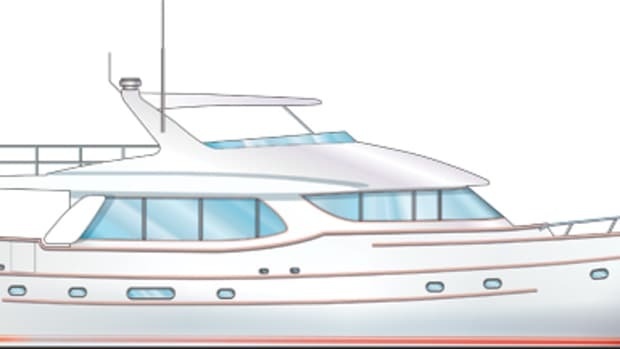 Alfresco devotees can choose between a dinette on the aft deck or an L-shape dining area on the flying bridge, near the hot tub. Another instance of less is more relates to weight; the less a vessel weighs, the more speed she’ll deliver for a given power and fuel burn. 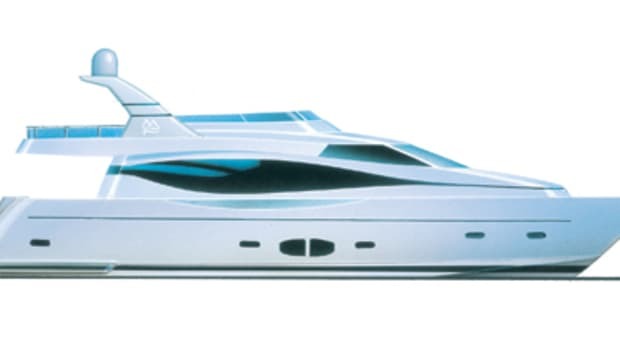 The entire hull, deck, and superstructure are cored with PVC foam, and key areas of her structure are reinforced with biaxial and triaxial laminates. Resin-infusion ensures an optimum resin-to-glass ratio and thereby a good strength-to-weight ratio. 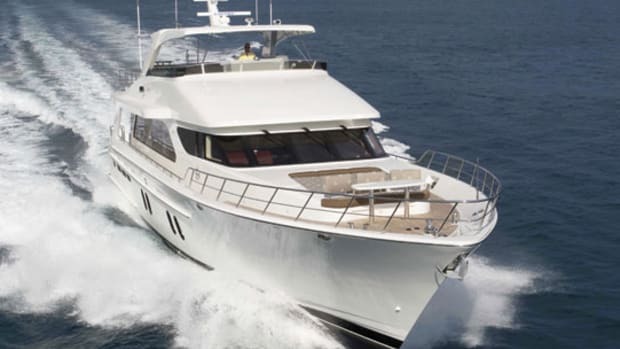 Amenities aside, it’s performance that&apos;s key in a sport yacht, and the 78 builds on a long-established reputation for offering a good turn of speed and a soft ride, thanks to a deep forefoot and fine entry coupled with a moderate deadrise aft. Partial propeller pockets improve propulsive efficiency while cutting draft to less than 51/2 feet. 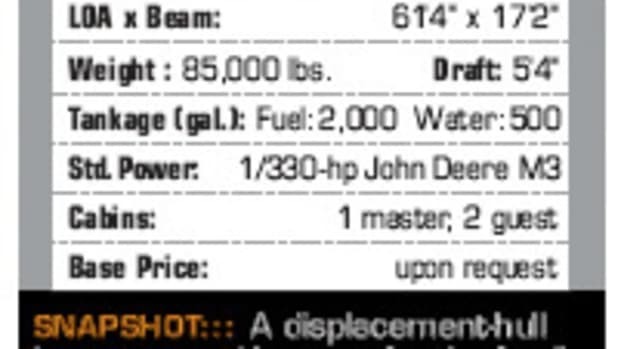 Twin 1,000-hp Caterpillar C18s are standard, but Hull No. 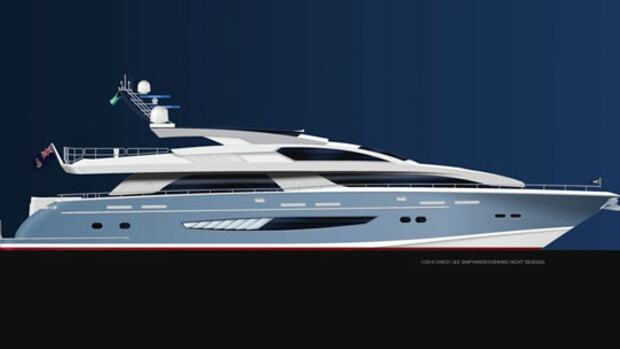 1 is being fitted with optional 1,400-hp Caterpillar 3412Es that will reportedly boost top and cruise speeds to 26 and 23 knots, respectively.